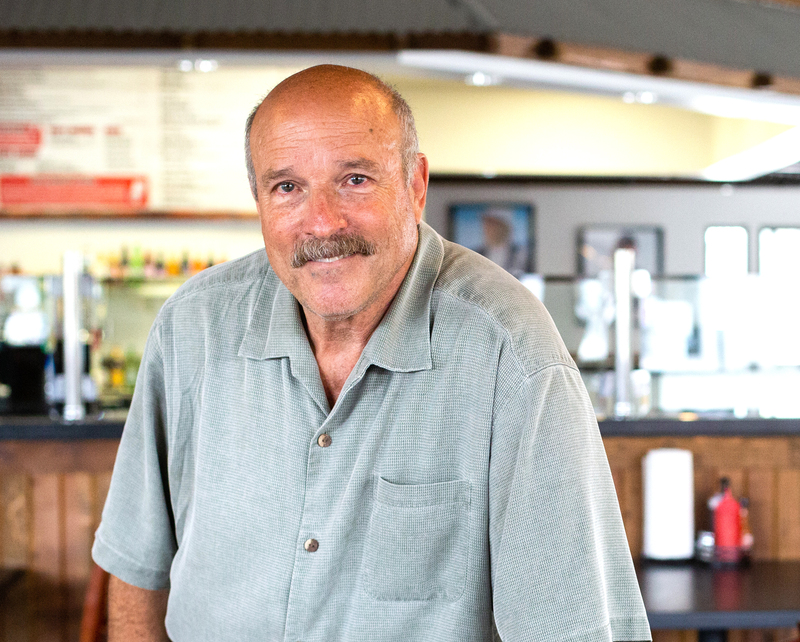 ENCINITAS — Two guys, united by a love of food and the joy it can bring people, launched Brett’s BBQ on Encinitas Boulevard in 2008. And now those same two guys, Bruce Weisman and Brett Nicholson, find themselves in the unfortunate situation of having to close their business. In a sign of the times when mom-and-pop shops find it hard to compete with deeper pockets, the lease for Brett’s BBQ is being terminated in order to make way for medical offices to be developed for the University of California, San Diego. 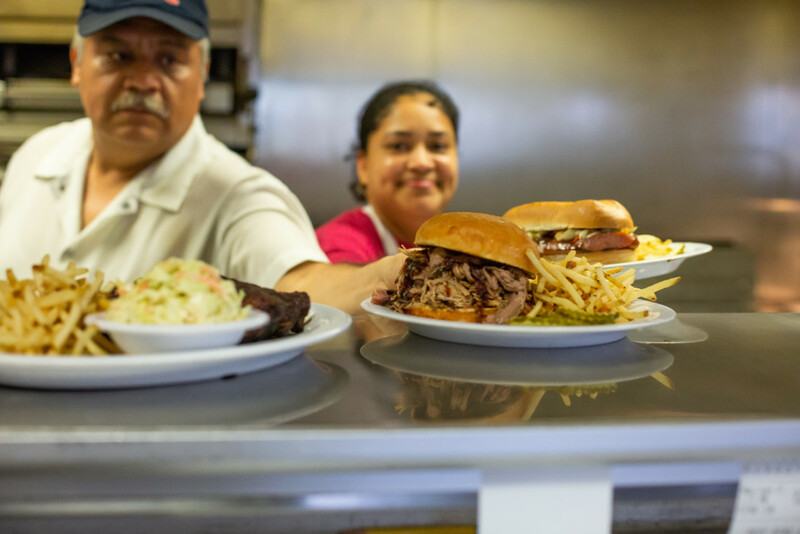 One employee, a chef named Alberto Arvizu, has known the owners for 34 years and has worked with them in various capacities since he was a teenager. Two sisters have worked for Weisman for 23 years, starting as cashiers at candy stores he once owned and then continuing to Brett’s BBQ. All the employees said they’d stay until the final day, which is Sept. 29. Using 1,000-pound smokers fueled by burning hickory wood, the dry-rubbed meats slow cook on low heat for a long time. The brisket and pork go into the smokers around 6 p.m. and stay there overnight for 14 or 15 hours, while the ribs, chicken, turkey and tri tip smoke for about four hours. Weisman joked that the smoking of meats “is a vicious cycle because it never stops.” All the side dishes and sauces are made on-site. 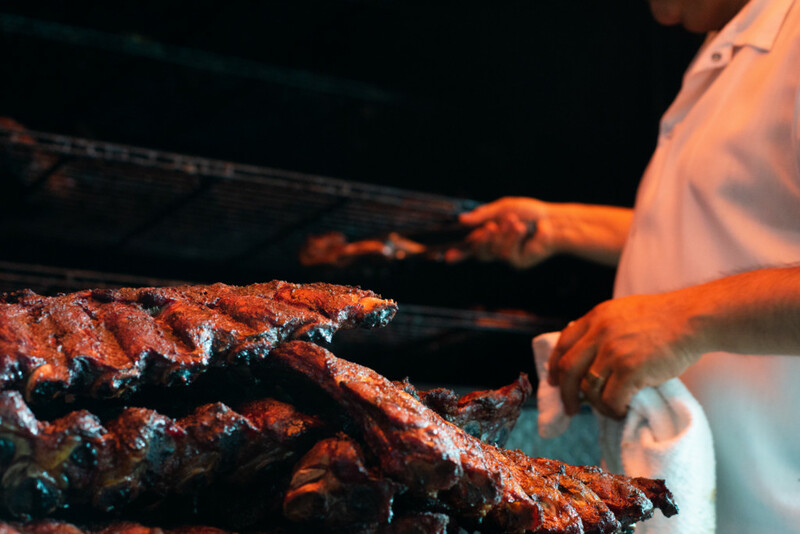 Nicholson, who hails from Indiana, said, “It’s barbecue the way it should be done: smoked using wood.” He noted that Southern California is not known for its barbecue and that very few places here smoke their meats. Nicholson wants to thank their customers and said, “It’s always rewarding to see people keep returning.” He shared that one man named Clarence, who recently passed away, used to dine at Brett’s BBQ with his wife three to four days a week. Brett’s BBQ has also been a mainstay in community events through its catering services, which have fed Little League players and local high-school students, for example. The final catering job — for 1,300 people — will be on Sept. 27 and 28 for Scripps. After the restaurant closes for business on Sept. 29, the owners plan to have all the employees and their families gather and eat food and “drink up the rest of the beer,” Weisman said. 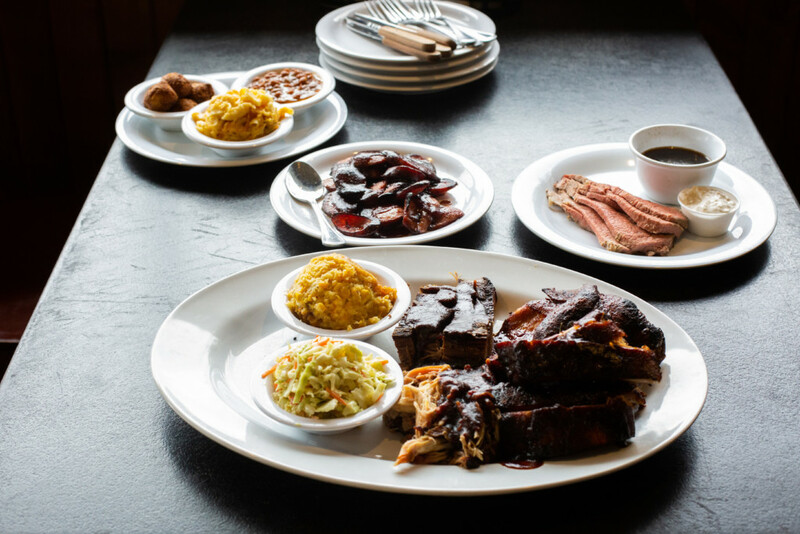 Brett’s BBQ originally launched in the 4S Ranch area of San Diego in 2007, but Nicholson and Weisman decided to close that location at the end of 2016 in order to consolidate all the catering and restaurant services into the Encinitas spot. Had they known that their lease would end, they would have kept the smaller location afloat. Arvizu, who said he wasn’t a big fan of barbecue when he first started working at Brett’s but soon grew fond of it, said, “I’m kind of sad. I expected I’d be here another five years.” He said that Weisman has been like a dad to him. Weisman is grateful that the new landlord reduced the rent at the end of the lease and gave Brett’s BBQ extra time to vacate the premises, which will allow them to do the big catering job at the end of September. But he’s sad that he’s had to turn away customers who have been attempting recently to place their Thanksgiving turkey orders with him. Now, that’s Old School — high-integrity Old School. Thank you, Bruce Weisman!!! My wife and I have eaten at Brett’s from when it opened. And that’s saying something since we live near SDSU and have to brave north county traffic to get some of our favorite food in the world. Bruce and Brett are good men and we will miss them dearly. So bummed! Great restaurant and great guys. Always so generous with the school donations. Thank you, Brett’s, for all your great food and work with the community. We will miss you! I am saddened by the news that Brett’s BBQ is closing and will be no longer. Without question the best BBQ in all of southern California. Brett and Bruce are such good guys and ran their business with integrity and generosity. They have given so much back to the community. Brett’s BBQ will be sorely missed. Thank you to both of you. The nicest people in the world and the food is just fantastic. Not a fan of regulation, but we need zoning that enables local places to maintain a cost structure that allows them to exist. Hope someone buys this and moves it. Much better than the “other” BBQ place in San Diego. Heartbreaking to see you go!! I took my Dad and uncle to your place their very first time! They have never stopped going! It’s become their favorite! Your food is amazing and has been enjoyed at plenary of our family get togethers! So sad to see ALL OF YOU GO ..blessings to all!